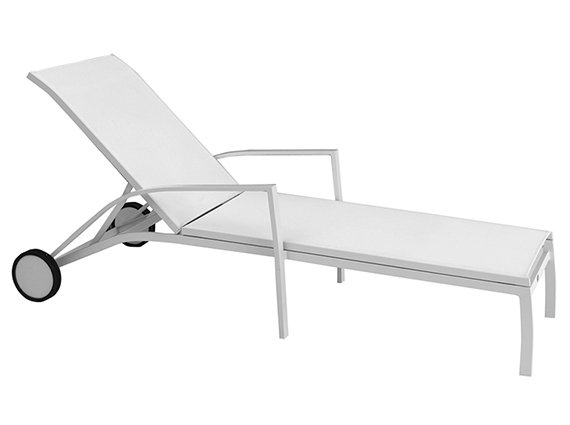 This is a modern ,5 position adjustable backed sun lounger with either a Light Grey or Champagne colored back. Its base textilene fabric sling insert for superior comfort on a welded tubular aluminium Satin White maintenance free frame.Frame Color Available with Satin White and two textilene Fabric Color: Light Grey and Champagne. You can find this fashionable dining Tables chairs from gardenart retail stores in France and Spain.